Being a student and learning to drive can be a daunting experience but with QDrive this can just be part of your normal day to day rotuine. Enjoy your driving lessons with QDrive Driving School in a modern Dual Controlled, Air Conditioned Car with great safety ratings. 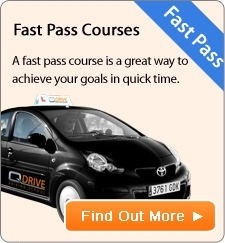 Learn to drive with the best DVSA Approved Driving Instructors in the country. We only have carefully selected high grade Driving Instructors . With our fantastic tailor made course we can help to get you through your driving experience within the shortest time possible suiting your learning style. You can learn to drive safely in just a few days, weeks or months. The choice is yours!